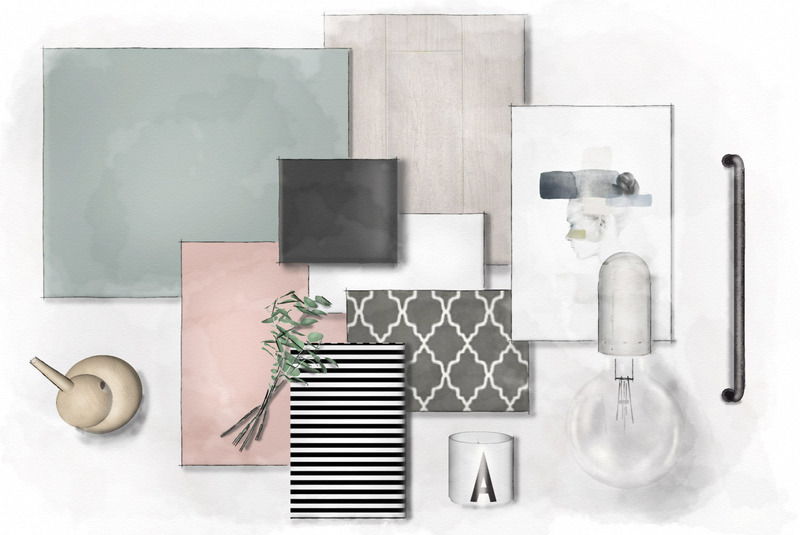 We receive questions on a regular basis where our online SketchUp courses are concerned, so we decided to create a dedicated page on our website. 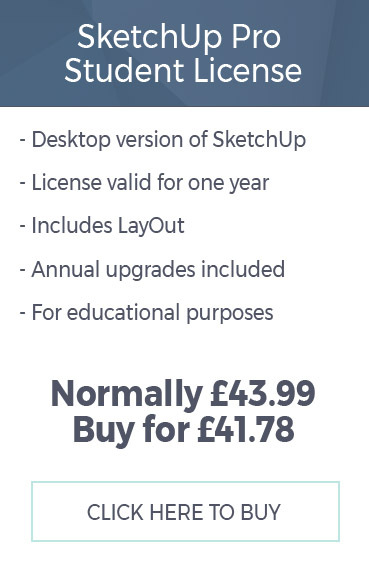 Do your courses/Bundle packages include the SketchUp Pro license? 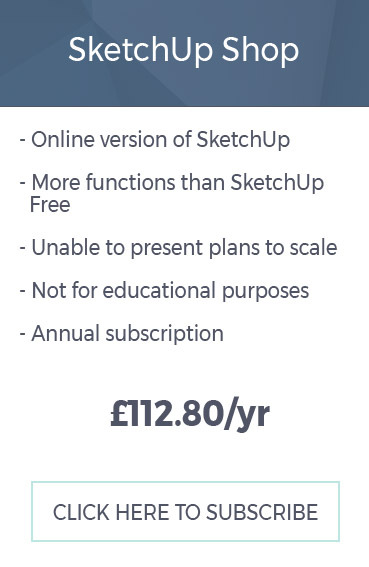 The price of our courses/Bundle packages DO NOT include the SketchUp Pro license. You must download/purchase SketchUp separately. How do I download/purchase SketchUp? As of 6 February 2019, SketchUp has a number of different ways to download/purchase its products, which to potential and current customers may seem confusing, so we are going to try and explain the current licenses/pricing systems currently in place. Does exactly what it says on the tin! 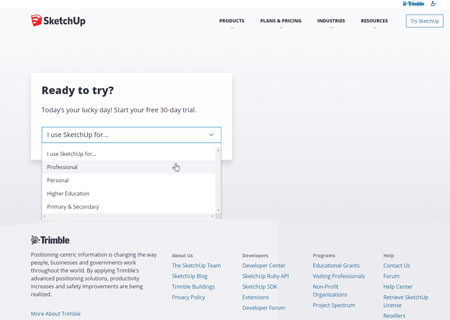 Click the button to download your free 30 day trial of the desktop version of SketchUp Pro. You’ll need to create a Trimble account (if you don’t already have one) and don’t forget to choose ‘Professional’ from the drop-down list! We appreciate that there is a lot of information for Hub students to take on board, when considering which SketchUp product/license is appropriate for their specific needs. 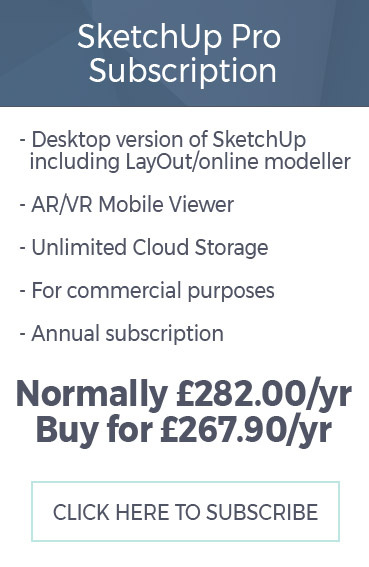 However, we feel it is important to highlight that the SketchUp Pro Subscription is an annual payment, which means you need to pay $299 (£282 incl. VAT) every year to have access to SketchUp Pro. This means that after 5 years you will start paying more for the SketchUp Pro when using the subscription, than the SketchUp Pro Classic license. 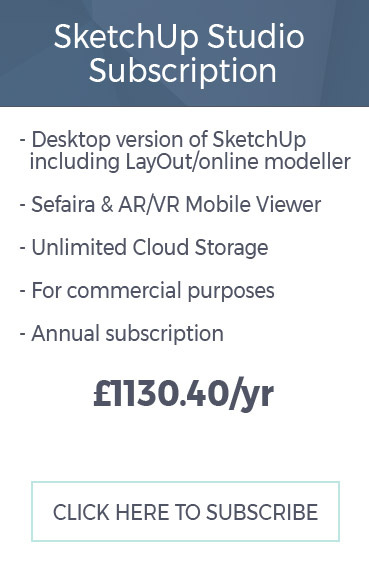 You need to decide which of these payment options is more viable for you and ultimately if you are content to pay more for SketchUp Pro in the long term by opting for the subscription. Whilst not promoted on the SketchUp website, the student license of SketchUp Pro (Classic) is still available to purchase. In order to purchase the student license, you must be studying at an accredited College/University. Due to the competitive prices of the student licenses, we highly recommend that all students give serious consideration to the purchase of student licenses and also the upgrade from the student license to the SketchUp Pro Classic license. 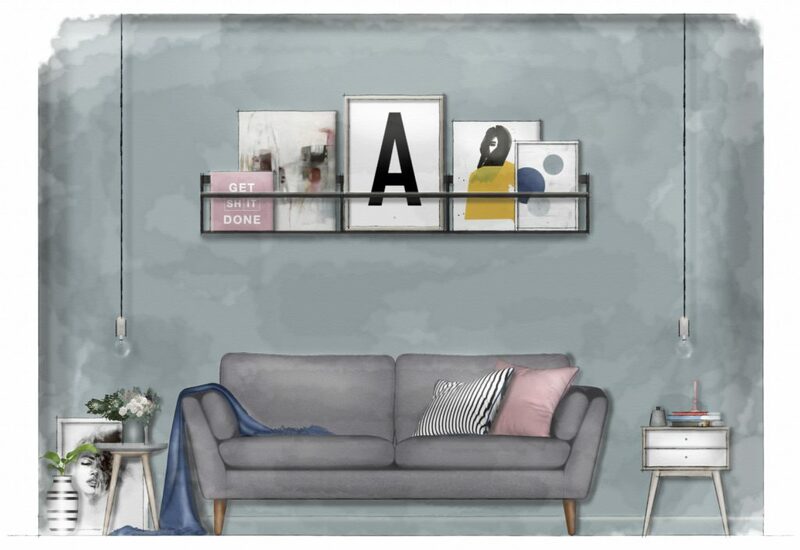 You will see ‘Buy now for…’ in some of the SketchUp products/licenses above, and that’s because we have partnered with Educandi to offer amazing discounts to our Bundle customers when purchasing the SketchUp Pro Classic, Student and Upgrade licenses. There are also savings if you’re considering the SketchUp Pro and SketchUp Studio for Student subscriptions. 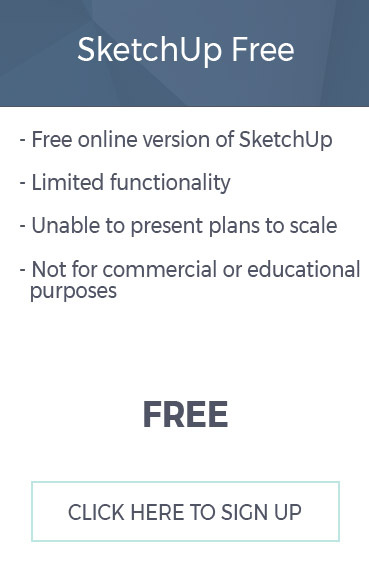 Ultimately, we recommend that you download the free 30 day trial of SketchUp Pro initially and then once it expires you can make a decision about whether to use the free version called SketchUp Make (which has limitations) or buy the student license of SketchUp Pro (if you aren’t a student you’ll have to consider either SketchUp Pro Classic or the SketchUp Pro Subscription). Please refer to system requirements for SketchUp, to ensure that your laptop or desktop has the sufficient hardware and software specification to install and run SketchUp Make or SketchUp Pro. How much is the Pro version of SketchUp? 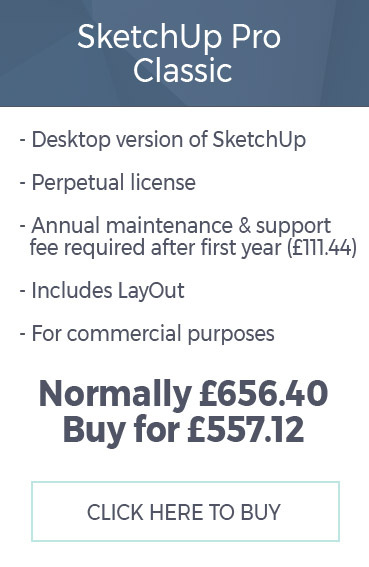 As of 18 February 2018, SketchUp Pro (as per the SketchUp website) is £656.40 (incl. VAT) for one license. 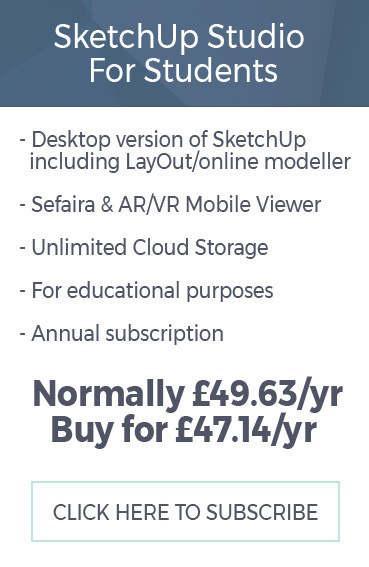 However, if you purchase our SketchUp Bundle or our SketchUp Student Bundle, you can purchase SketchUp Pro for only £557.12. Learn more here. 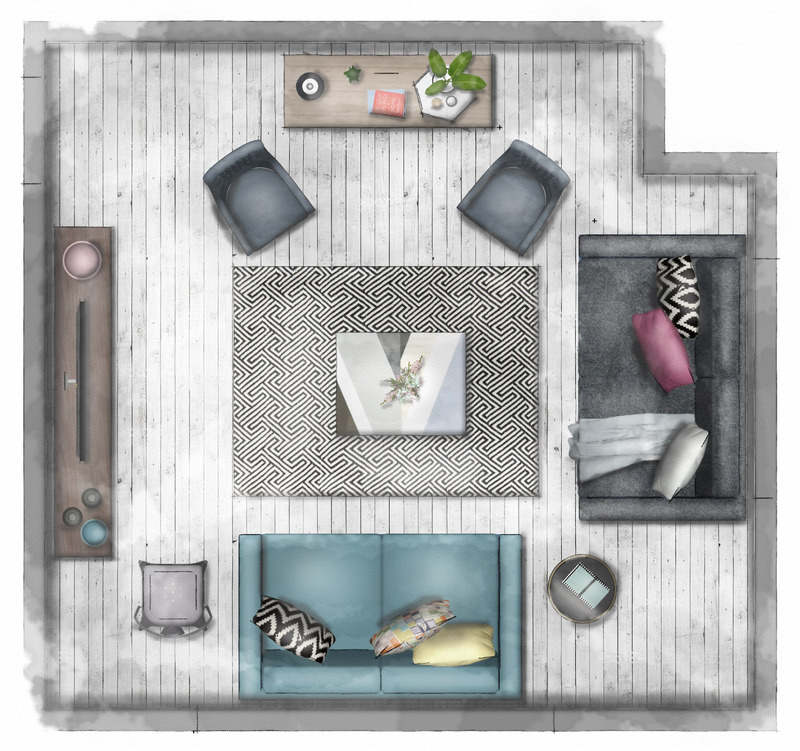 Can I use SketchUp Make to take your courses? Yes, you can use the free version of SketchUp to take our courses. However, SketchUp Pro includes an application called LayOut, which allows you to seamlessly print to scale, therefore if you are using SketchUp Make to take our courses, some of the modules in course #6 Presenting Your Plans to Scale, will not be applicable to you. It is still possible to print to scale using SketchUp Make, and we show you how in both the Windows and Mac version. 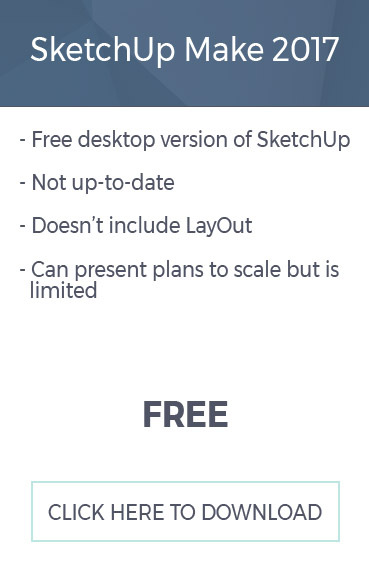 If you decide to buy SketchUp Pro in the future, you will still be able to view the video tutorials in course #6 that are specific to LayOut, as access to our courses is unlimited. Don't forget that when you download SketchUp for the first time, you are automatically given access to SketchUp Pro for 30 days. Can you extend the 30 day trial version of SketchUp Pro? 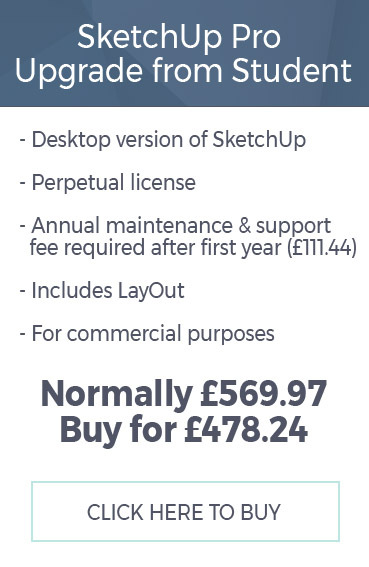 Unfortunately we cannot extend trial periods, however the SketchUp Hub has secured exclusive discounts with a SketchUp authorised reseller, for the purchase of SketchUp Pro, please read more here. I use a Mac, am I still able to take your online courses? Yes, all of our online SketchUp courses are delivered using the Windows version of SketchUp, however, due to very few differences between the Windows and Mac version, it is still possible for Mac users to follow along. We have addressed differences in the Mac layout, where appropriate, with simple on-screen instructions, downloadable PDFs, or specific video tutorials. How long do I have access to the video tutorials, once I've purchased my course? All of our courses have unlimited access, regardless as to whether they are free or paid. Is the SketchUp Hub compatible with an iPad? Yes, all of our HD video tutorials are compatible with mobiles and iPads. How long does it take to complete the Bundle course? This very much depends on your other commitments, both professional and personal, however, it is possible to complete the entire Bundle in 4 weeks. We have provided a free Learning Schedule to help keep you focused, so that you stay on track to complete the Bundle in 4 weeks. What happens if I need help after I've purchased a course? We offer all students 2 hours email support, which expires 14 days after purchase. Use this support to get additional help when navigating the online learning platform, or to request assistance when learning SketchUp (specific to the course that you have purchased). Don’t forget to check out the discussion forums, or our Facebook Group where you will find additional sources of support! Register with the SketchUp Hub today and receive a free PDF on our expert tips when producing accurate floor plans AND free access to course #1 The SketchUp Interface.